A great looking stand. Certainly a fine addition around waterfront and dockside areas, where a nautical feel is required. Fixing dimensions: 360mm wide x 900mm tall (above ground). 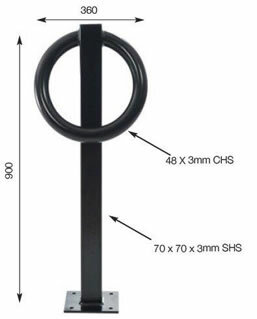 50mm tube o/d diameter, 3mm wall thickness. Post 70x70x3mmSHS.